Wow, a family holiday in West Sweden. Who wants to do what? Making sandcastles at the seaside – catching crabs from the pier? From sandcastles to a real castle – Läckö Castle – where the junior members of the family go on their very own guided tour and dress like princes and princesses. Adventures? Yes, of the amusement park variety at Scandinavia’s biggest amusement park at Liseberg in Gothenburg, and wild ones in the forests and lakes inland, on the coast and in our archipelago paradise of 8,000 islands. Skara Sommarland Amusement Park is just outside the town of Skara and is Scandinavia’s biggest water park with its many attractions splitting into two categories; ones where you get drenched and ones where you don’t. There are water slides and chutes and the names kind of give them away; Big Drop (Europe’s highest freefall, body slide attraction at 21 metres), Cobra, Racer, Splashing Hill, Nyagara, Pirate Island and Vortex. Need we say more? The ‘not getting drenched attractions’ include go-carts, rollercoasters and a cowboy (and girl) western town where the get to play and compete for prizes. The kids hit the amusement park, mum and dad enjoy a meal together or grab a cup of coffee. The park has nearby chalet and camping accommodation available. More amusement park fun can be found in the city of Gothenburg at Liseberg Amusement Park – Scandinavia’s biggest and best. You could easily spend a day or three here given the number and variety of rides, shows and events on offer. Liseberg is located in a beautiful park environment and has the rides, rollercoasters and white-knuckle attractions that kids and adults love. It also puts on musical and other entertainment and has oodles of restaurants and cafés for hungry thrill seekers. You are going to have to drag the kids away from this place. Just beside Liseberg is Universeum, Scandinavia’s biggest science centre. 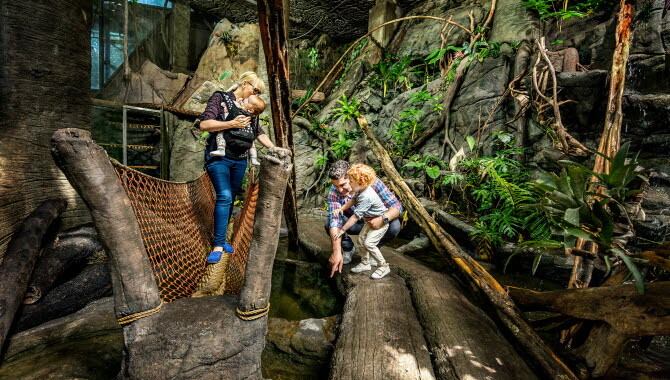 It covers seven floors, including a tropical rain forest and other earth environments, as well as giant aquariums filled with…aquatic creatures, as well as labs where the kids get to perform experiments. Making mum and dad disappear is not one of them. We promise. 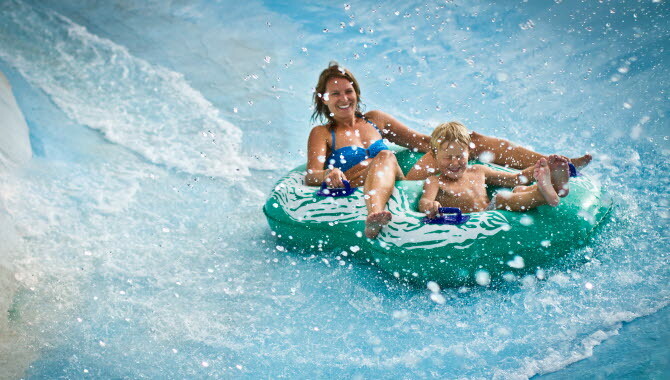 For more amusement park fun head for the town of Strömstad for Daftöland and the town of Skövde and Arena Skövdes Upplevelsebad (waterpark), voted Sweden’s best water park in 2016. Kids love learning, especially about wild animals. And the closer they get to them, the more fun they have. 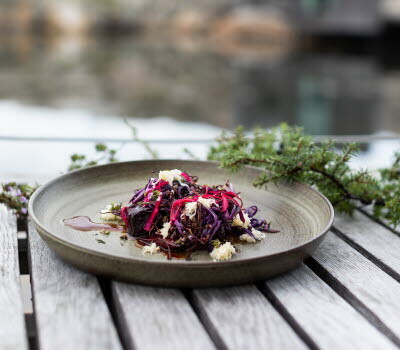 At Nordens Ark parkland refuge you and the kids can take the 3 km-long walkway to see 80 of the world’s endangered species, for example the rare snow leopard, Siberian tigers and wolves. 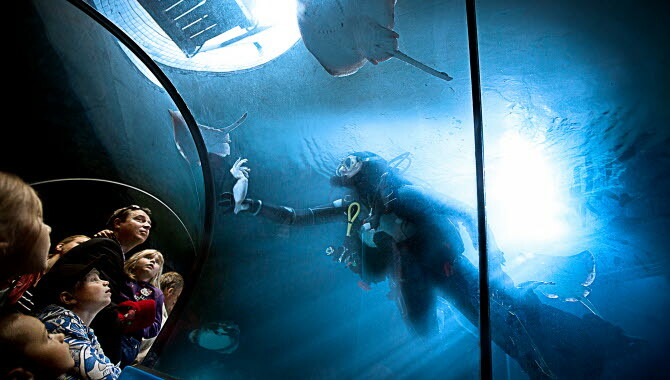 Some 30 km away from Nordens Ark in the small coastal town of Lysekil is Havets Hus that, across its big tunnel, aquarium and touch pool, displays the environments and creatures of nearby Gullmar Fjord and the sea off the coast. New to West Sweden? 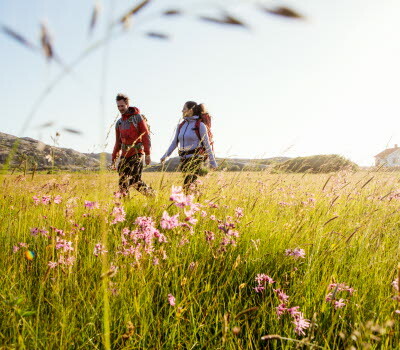 Want to know more about the nature, countryside and wilds of the region and how easy it is to discover and explore them with the whole family? Read on. 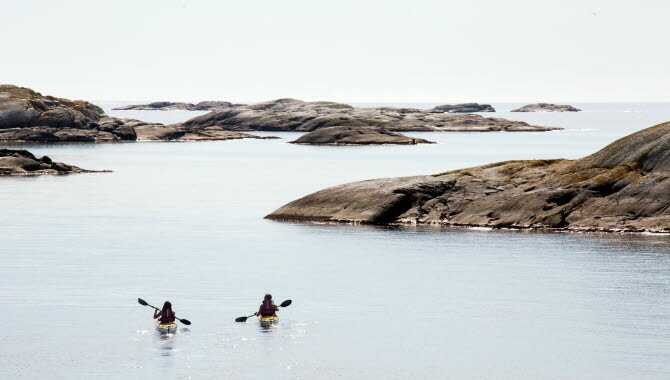 The West Sweden region is a nature lover’s paradise and – here is the important bit - it is very accessible and there are plenty of outdoor activity companies and nature experience centres that would love to help you arrange guided or self-guided tours of the region’s natural assets on foot, by bicycle and by canoe/sea kayak. 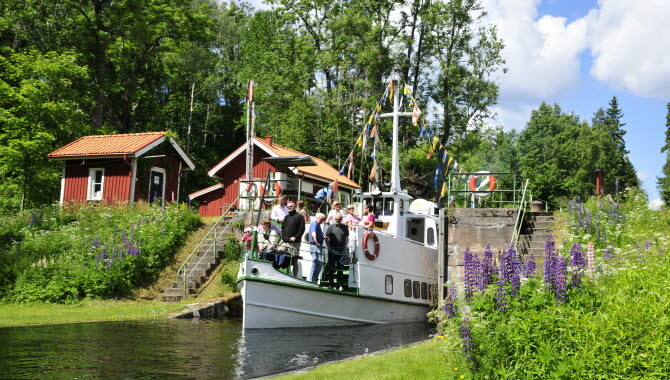 For example there is the province of Dalsland in the north west of the region that you can discover on a family canoeing holiday along the Dalsland Canal; a 250 km stretch of waterway that connects many of the lakes here for which it is famous. One of the big man-made attractions here is Akvedukten at Håverud, a magnificent construction combining roadway bridge, railway bridge and an aqueduct. Outdoor activity centre Dalslands Aktiviteter in Dals Långed offers outdoor adventures from the forest floor to the tree tops. Here you can go horseback riding, pan for gold, try zip-lining and even get to meet elks. 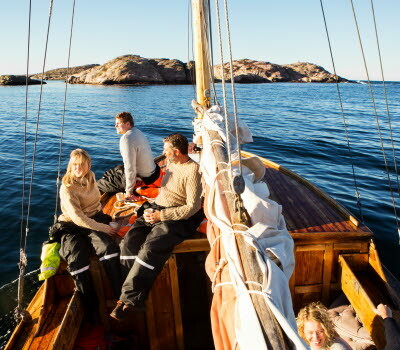 Heading further west you hit the coast – the Bohuslän coast that is, which is part of the province of Bohuslän. The coast and its archipelago was described by CNN as ‘one of the world’s 10 last great wilderness areas’. To experience its full glory take the boat from the town of Strömstad to the Kosterhavet National Park, Sweden’s first marine national park. 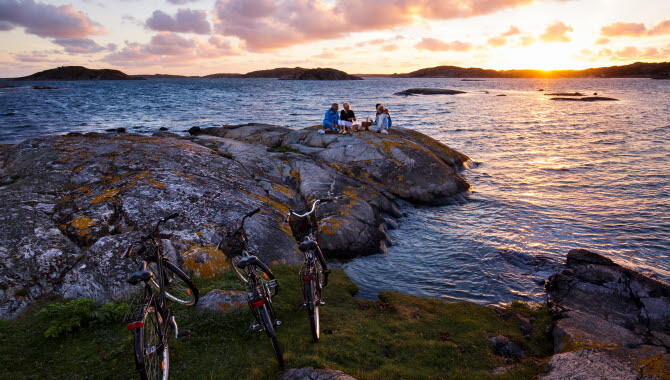 You can cycle on the car-free islands of the archipelago and/or paddle a sea kayak with the kids and take them to a desert island they can call their own. Other activities in this pristine and unique environment include fishing, seal spotting trips, fishing for crabs, and beach combing. The third province in West Sweden is Västergötland (Vest-er-yacht-land) in the south west of the region. 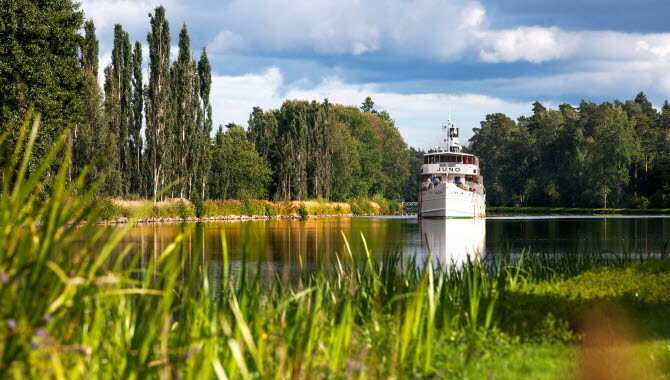 The big hitter here is the natural and part man-made wonder, the Göta Canal. It cuts a 190 km-long watery path through West Sweden flowing through 58 locks, as well as through villages, hamlets and towns. You can cycle stretches of the towpath with the entire family and there are plenty of bike-hire and accommodation options along its length. One of them is Norrkvarn, an old granary building, now hotel, which lies 20 kilometres north of the town of Mariestad. 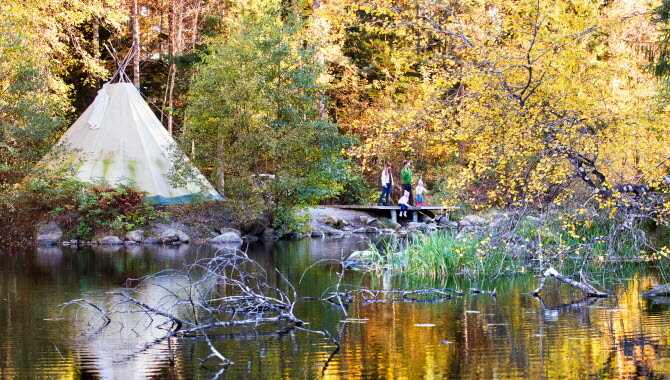 Here the kids can enjoy their own mini-version of the Göta Canal and settle down for the night in tree stump and mushroom-shaped accommodation (really). 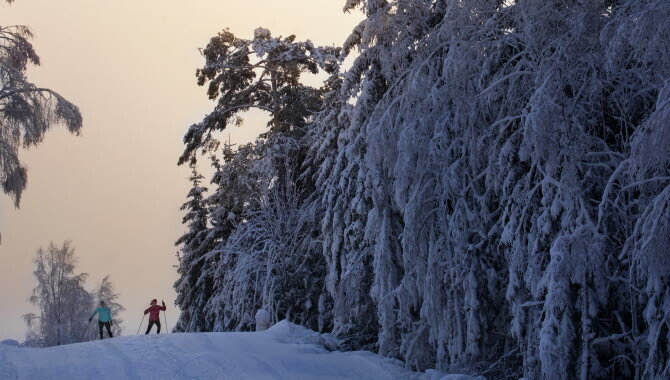 It’s a province of contrast is Västergötland – you can go fishing for crayfish in the summer and enjoy the ski slopes and cross-country skiing track of ski resorts Ulricehamn, Falköping and Billingen come winter! Say that to a kid and they’d probably run a mile! But not from the completely wonderful Vitlycke and Tanum UNESCO world heritage site. Three thousand years ago on the rocks around this expansive site, bronze age Swedes carved and painted their dreams, thoughts and depictions of their lives. You can do the tour of the site by walking, by bicycle and there is even a night tour where you see the carvings by torchlight (kids love this one). Winding the clock forward to the early 19th century, pay a visit to very large and impressive Karlsborg Fortress on the Vanes peninsula by the town of Karlsborg. You will probably be impressed at its 5 km circumference, your kids will be wildly impressed by the adventure tour and gold hunt (story goes that the Swedish gold reserve was once stored here) which takes them to the deep, dark underground passages of the fortress. Just north of Karlsborg lies legendary Läckö Castle that seems to rise in its white-walled glory from the waters of giant Lake Vänern. It is probably Sweden’s most beautiful castle and unarguably the finest baroque castle in the country. 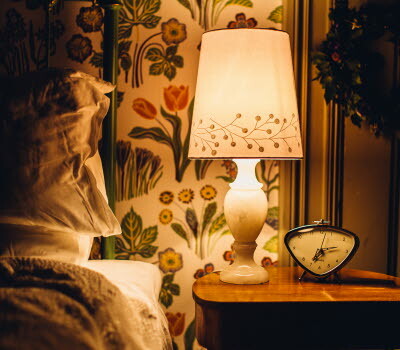 For adults there are the ornately painted and designed rooms, and halls, as well as well as permanent and temporary exhibitions about the castle and its inhabitants down the centuries. For kids there is the Creepy Castle tour (7+) and ‘the Maid’s tour’ where children follow a maid around the rooms and passageways of the castle as they learn about the customs of the day. Outside there is Lilla Slottsträdgården (gardens) to admire. 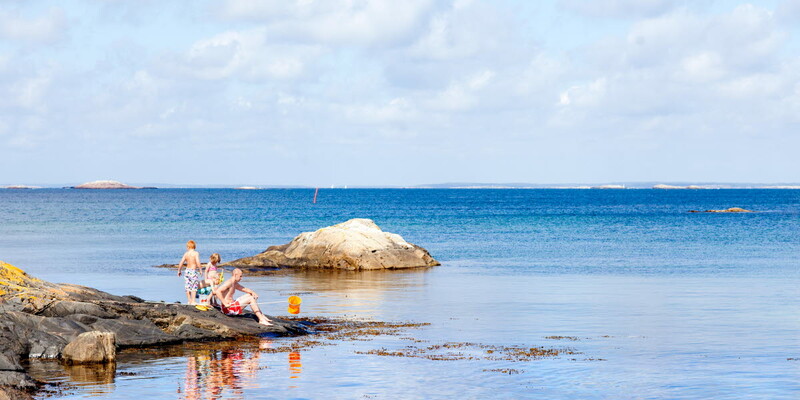 Leave the car at home and experience West Sweden by bus, train, tram and ferry. You can purchase a 1-day or 3-day travel card offering unlimited travel on these transport modes with transport provider Västtrafik. If you are +20 YOA and have a period card, or travel at non-peak times, three people under the age of 20 are allowed to travel with you at no extra cost. Visit www.vasttrafik.se for more details.